'Shanky Rocks!' ... How far can you go for your school friends? Shanky wants to start a Rock Band! Abid wants to play pool, smoke, drink, and enjoy life as it comes! Sachit wants to create a Superhero that can live for generations to come! Meghna wants to marry the Prince of her dreams! Shikha has already found out one! Wang wants to live a luxurious life with his parent’s hard-earned money! Kabeer has his own dream of starting an NGO for adrift street kids! Read ‘Shanky Rocks!’ to experience where the dreams take the friends to! Their Castles in the air. Find Castles in the air. Knew Castles in the air. For the Castles in the air. The castles in the air. What the School Principals as Readers say? Submitted by Anonymous on 13 October 2012 - 11:00pm. Submitted by MVP on 15 October 2012 - 10:01am. Submitted by Sushil Yadav on 14 October 2012 - 5:54pm. Congratulations Mahesh! Looking forward to read your third book. Submitted by MVP on 15 October 2012 - 10:00am. 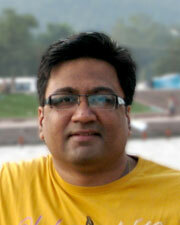 Submitted by Girish Dandige on 15 October 2012 - 7:40am. Nice to see you back in action with another masterpiece. 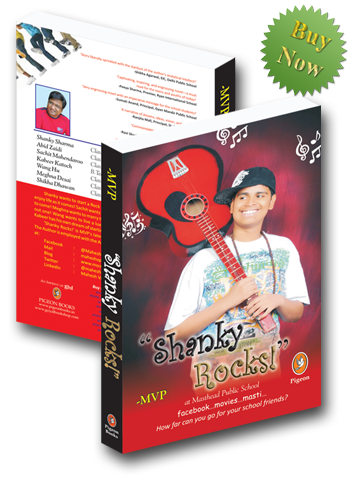 Am sure Shanky will Rock to become a bestseller soon. Best wishes. Submitted by MVP on 15 October 2012 - 9:59am.